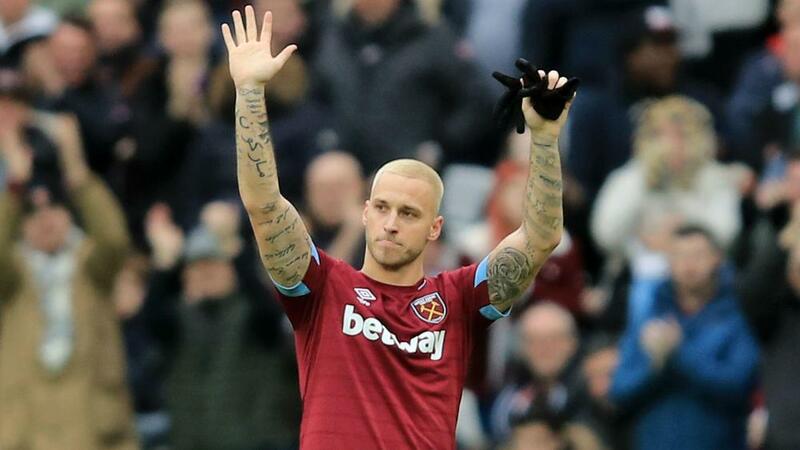 Manuel Pellegrini said he hoped Marko Arnautovic would "take the best decision for everyone" after he appeared to wave goodbye to West Ham fans during the 1-0 Premier League win against Arsenal. Arnautovic has been linked with a move to the Chinese Super League but West Ham released a statement this week insisting the Austria international "is not for sale". With the Hammers a goal up against Arsenal at London Stadium on Saturday, Arnautovic was replaced after 70 minutes and removed his gloves to wave to all corners of the ground. And Pellegrini said the club and Arnautovic must work to find a solution that works for all parties. "We'll see what happens in the next days," Pellegrini told Sky Sports. "It's an issue that the club must see what is the best for him, for the player, for the club, for everyone. "I have been in these situations a lot of times. I have been a manager for about 30 years. "Big teams want to have the best players but I think we must remain calm about the situation.